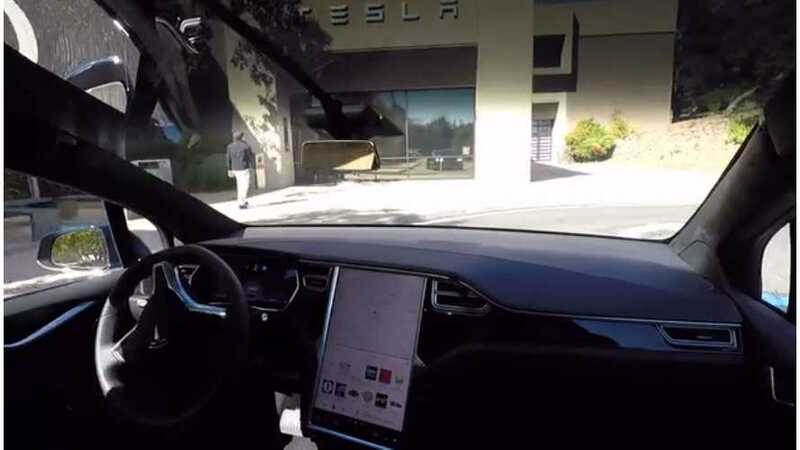 Not quite a Tweetstorm, but Tesla CEO Elon Musk took to Twitter and made some welcome clarifications to the upcoming Full Self-Driving feature. First and foremost, it looks like we may finally see Full Self-Driving hardware in all newly produced Tesla vehicles starting in about six months. To be honest, we really had no clue when this all might become a reality, but Musk has already announced an employee testing stage and now there's more information about the hardware itself. Elon Musk's Decision To Call Autopilot 2.0 "Full Self-Driving" Led To Resignation Of Autopilot Director? The new proprietary chip is coined HW3. Musk said that just with Software Version 9 there is a 400 percent increase in operations per second. The new level three hardware could take that to 500-2000 percent. The rub here is that when Tesla first showed off its upcoming Full Self-Driving (FSD) technology, we were told that all cars were being built already equipped with all of the necessary hardware. However, while the sensors are compliant, a new Autopilot computer is needed to bring current models up to spec. The good news is that owners who have already paid for Full Self-Driving will get the upgrade for free. Those who have not can pay some $5,000 to have the switch made and get the feature, which was already disclosed long ago. It’s an incredible job by Pete and his team to create this, the world’s most advanced computer designed specifically for autonomous operation. And as a rough sort, whereas the current NVIDIA’s hardware can do 200 frames a second, this is able to do over 2,000 frames a second and with full redundancy and fail-over. It costs the same as our current hardware and we anticipate that this would have to be replaced, this replacement, which is why we made it easy to switch out the computer, and that’s all that needs to be done. All the connectors are compatible, and you get an order of magnitude, more processing and you can run all the cameras at primary full resolution with the complex neural net. We look very forward to actually seeing this come to fruition and we hope that Tesla can hold true to the current stated timeline. Until then, we wait.